Navratri’s are celebrated almost all over the India in different ways. In Bengal, These navratris are celebrated as the most religious festival. They named it Durga Puja. This is celebrated in a most happening way with number of gigantic and charismatic pandals. Many known committees havetaken up the charge of setting monumental pandals and come up with numberless cultural activities. 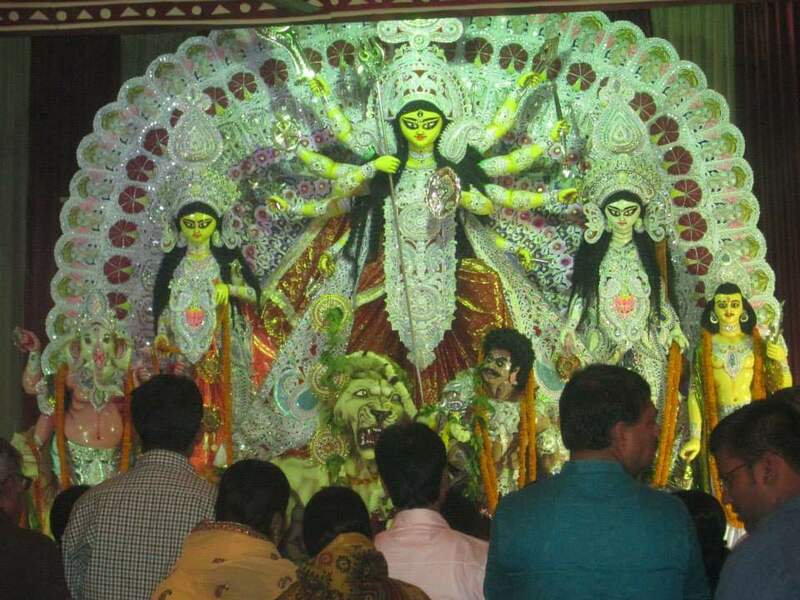 If we talk about Delhi, it is a cosmopolitan city so there has to be Durga Puja celebration. 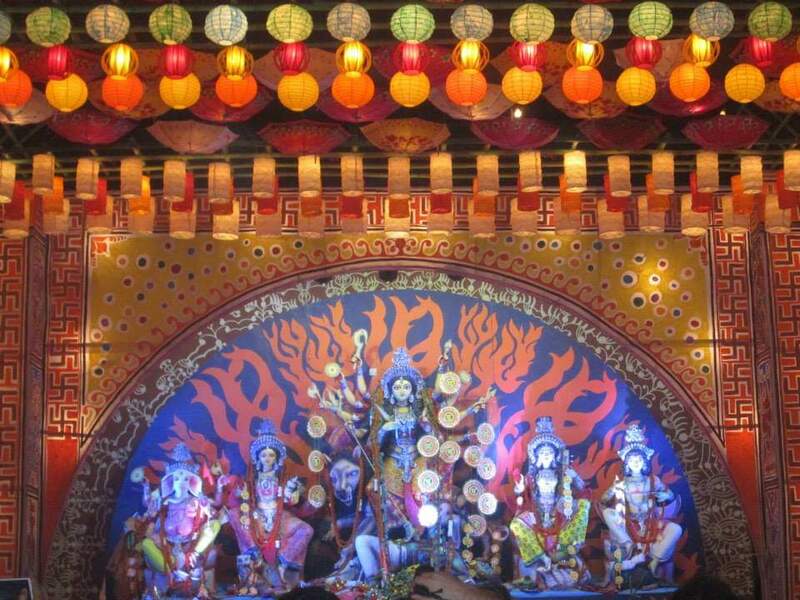 Chitranjan Park of Delhi can also be referred to as mini Bengal.Naturally, this place hosts the most arresting and grand pandals for durga puja. 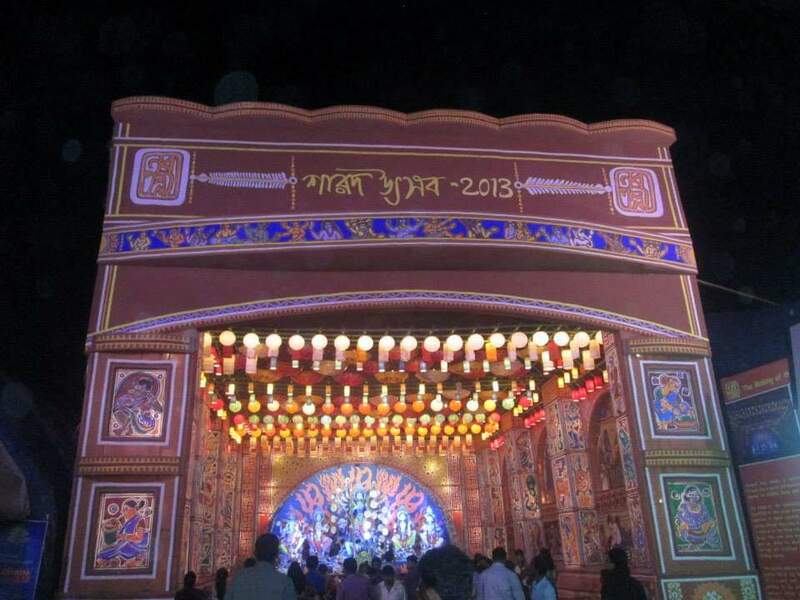 At the time of durga puja, particularly when pandal hoping gets started chitranjan Park is likely to be looked up by millions of people in those four- five days. During the festival season, the dhaak rhythm, shaankh blows, the chanting of mantras will leave you mezmerised. Though the festival isn’t celebrated in such a gigantic fashion as witnessed in Kolkata, yet no one would be disappointed with the mini Kolkata of Delhi, right here in CR Park! 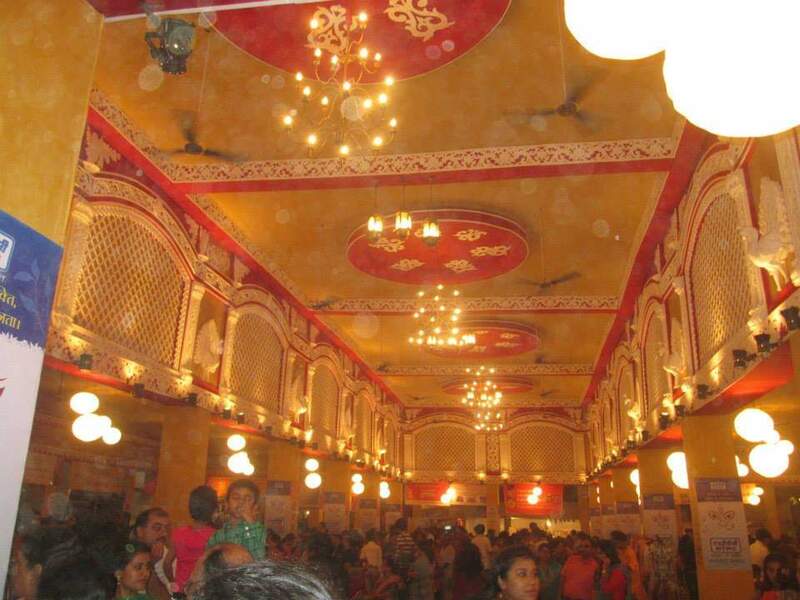 Let’s walk you through the beautiful pandals and the jaw dropping Bengali food found aplenty here. CR park can be said to be the Bengali paada or the Bengali locality of the city. CR park is full of Bengali families and thus sees the beautiful celebration of the festival. The Bipin Chandra Pal theatre reigns to be the most favorite center of cultural happening and celebrations but the insitutions like the Raisina Bengali School, Kali Mandir and Chittaranjan Bhavan are also leaving their mark in the in the celebrations and contributing to the majestic heritage and leagacy. What is your idea of puja, the elaborate pandal, chaste idol of Maa Durga, the cultural functions, amazing spread of food or the fun that is in the air, most definitely all leaving any of the angle will lead to an incomplete puja and the best part is that CR park has all and that too in abundance for you to feel the vibrations of the puja. The community of Bengalis put up excellent dance and singing programs for the kids. There are several competitions help for the kids and adults to participate. Each competition is so unique and filled with fun that it will you with a big ear to ear smile. The dance performances are wonderful and let you sneak peak in the Bengali traditions and culture. Even the puja or the offerings made to the Goddess still has the complete Bengali flavor in it. The morning starts with giving sandal and dhoob offering to the goddess, followed by flowers and Prasad offered to the Goddess. Then there two times of aarti being done on the dhaab of dholok a sound that will cleanse your souls and take you to another land. The last that is Dussera or Vijay Dashmi sees the celebration of Sindoor Khela and trust me the sky gets painted red on this day. Coming to most delectable part that is the widespread mouthwatering food that you get to eat in these days. All the delightful Bengali dishes be it vegetarian or non- vegetarian are to be found here and the sandesh or mishit doi simply steal the show. Not only Bengali food but food from different cuisines are foundin the pandals. There is more to Durga puja then words could ever express to meet and treat your eyes and souls alike. Durga Puja is truly a wonderful time of the year. I’m so glad we can witness and be part of the celebration while living in Delhi. What a luck! Attending Durga Puja had always been on my check list. Now that i am travelling to Delhi around the same time, not gonna give this one a miss. Visiting Chitaranjan Park during navratri is one of the best things in Delhi which I try never to miss, loved reading such a beautiful post.